Hello and welcome to this month's edition of Farmhouse Friday! 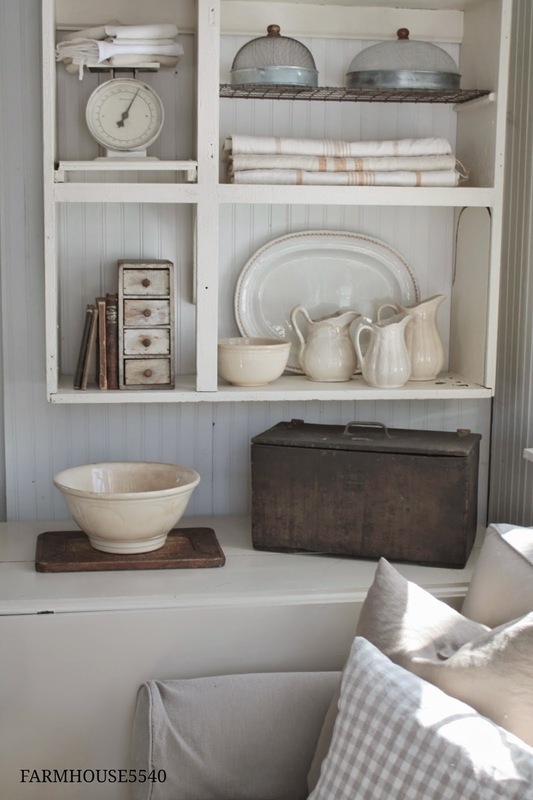 Our theme this month is FARMHOUSE STORAGE! 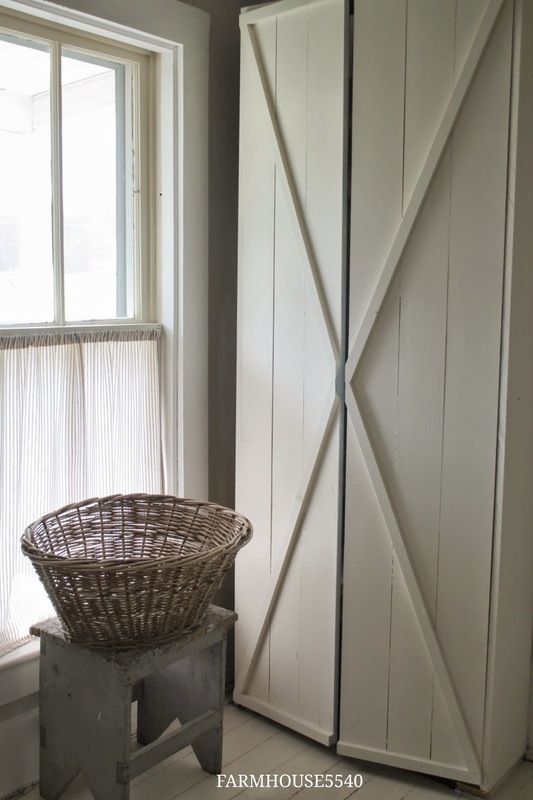 Like most old farmhouses ours is short on closet space so I am always on the search for unique items that can serve as storage pieces. 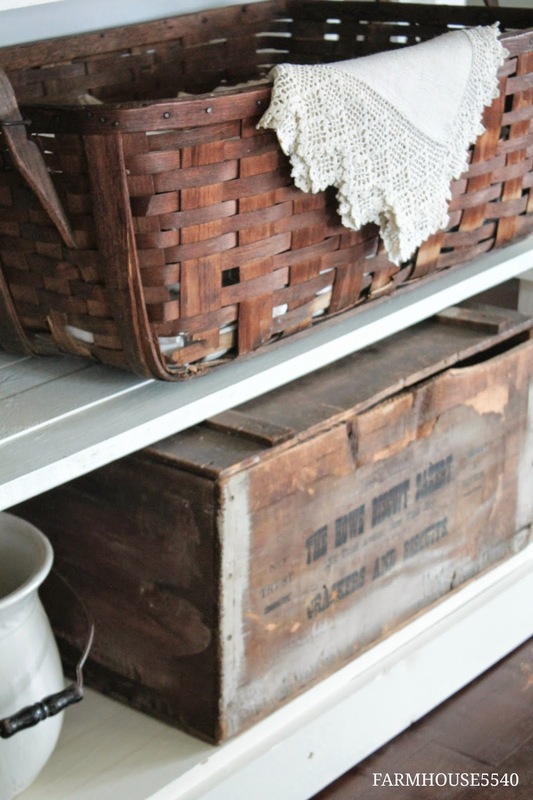 Vintage boxes or handmade items that were used for storing something long ago are my favorite to look for. 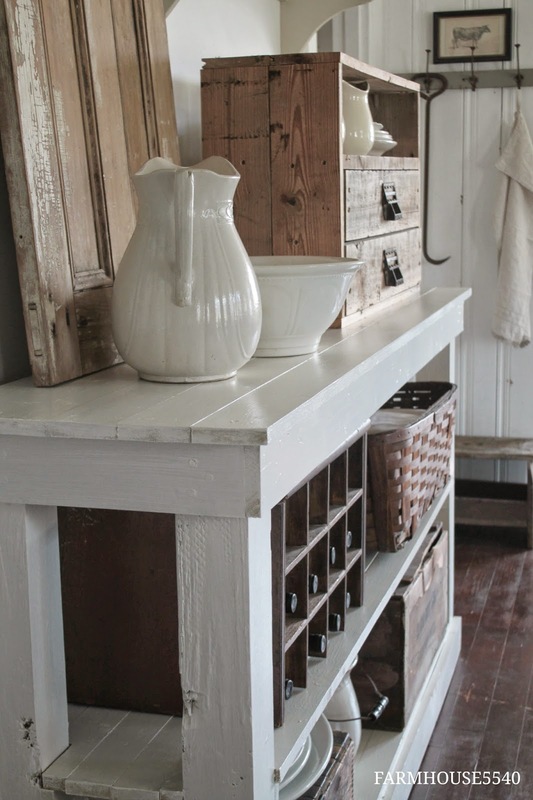 My husband Neal built us this long sideboard for our dining room specifically for different storage items that I have collected over the years. 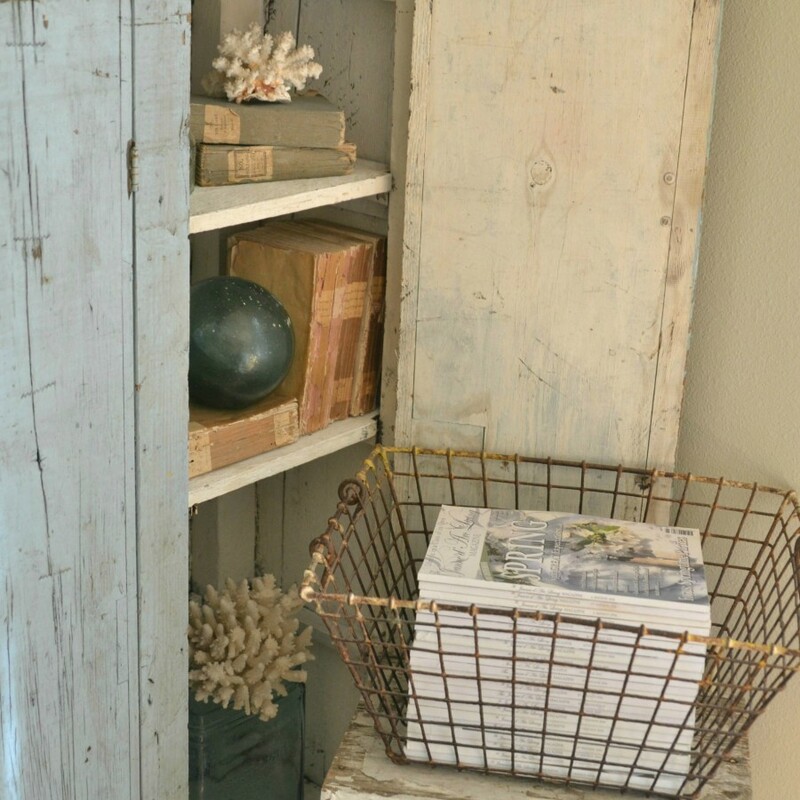 If you are a regular vistor to my blog you will notice that we added a bottom shelf to it since I showed it last. 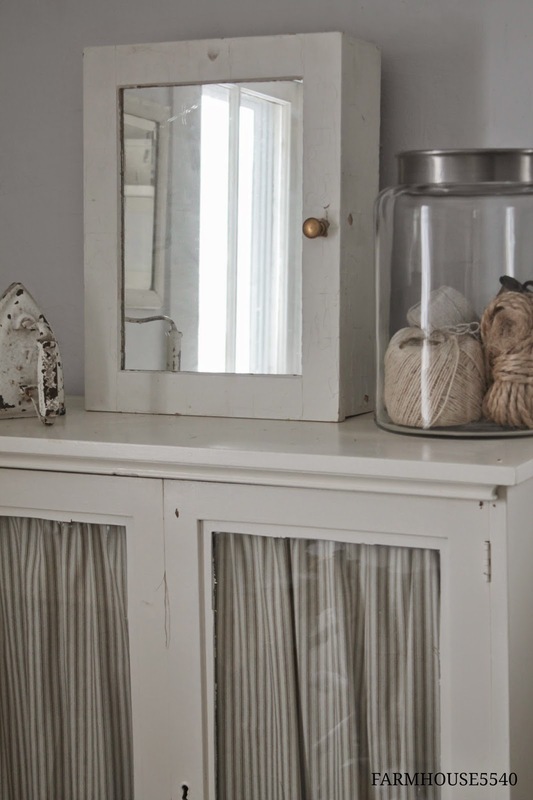 On the sideboard I keep this neat cubby thing that I found at the Country Living Fair. 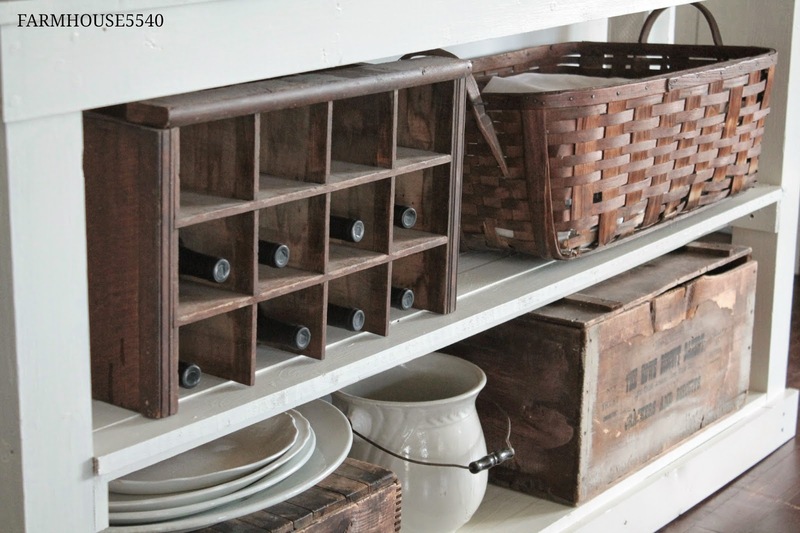 I asked the seller if she happened to have a wine bottle laying around so that I could see if it would fit because I wanted to store my wine in it and she actually did have one. We tested it out and the wine bottle fit perfectly. I was tickled but she was bummed she hadn't thought of it because she could have charged more for the piece! Neal also built me this beautiful piece with the drawers out of old wood (same cedar that we used for the bathroom floor) from our house. It was a Christmas present a couple years ago and I had no idea that he had been working on it. 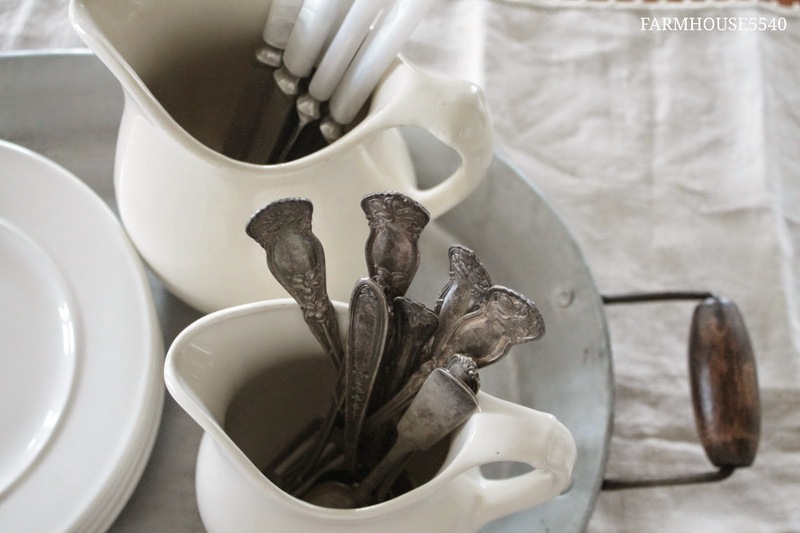 I absolutely love it and I keep linens and serving pieces that I use for entertaining in it. 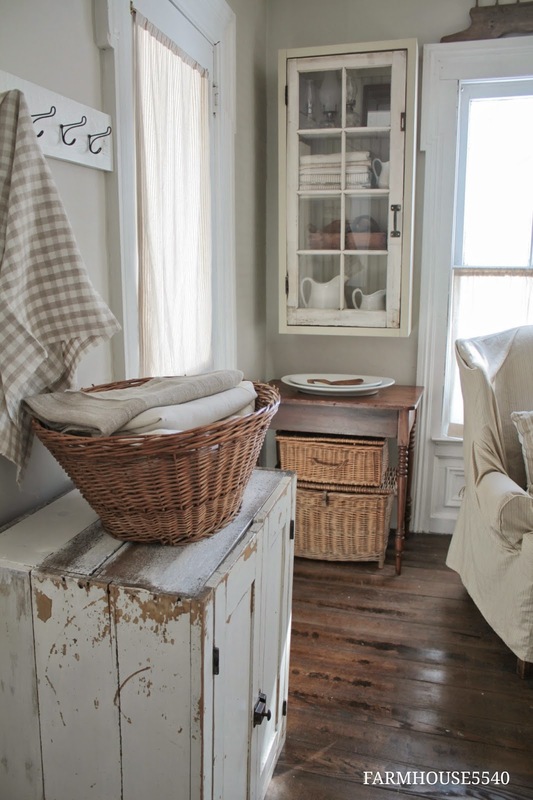 The antique basket holds my tablecloths and runners, I like to keep them at arms reach since I change what linens I use on the dining room table so often. 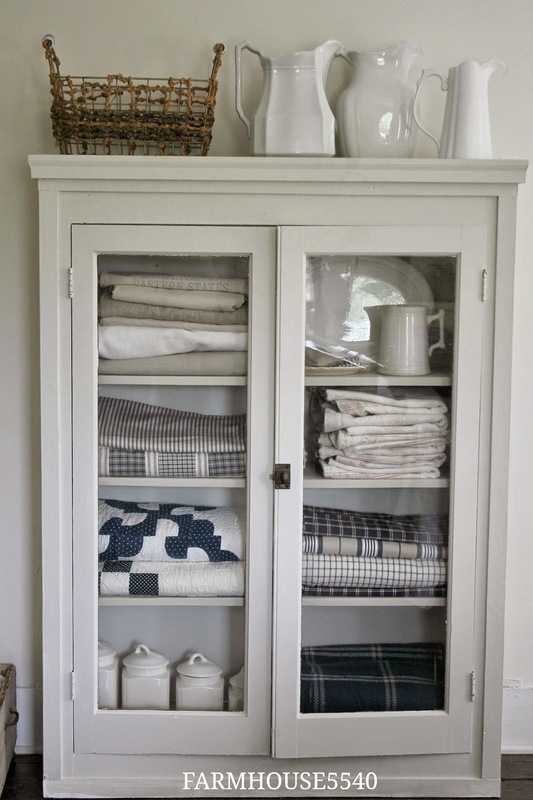 Ahhh cupboards, nothing says farmhouse storage like a cupboard right? 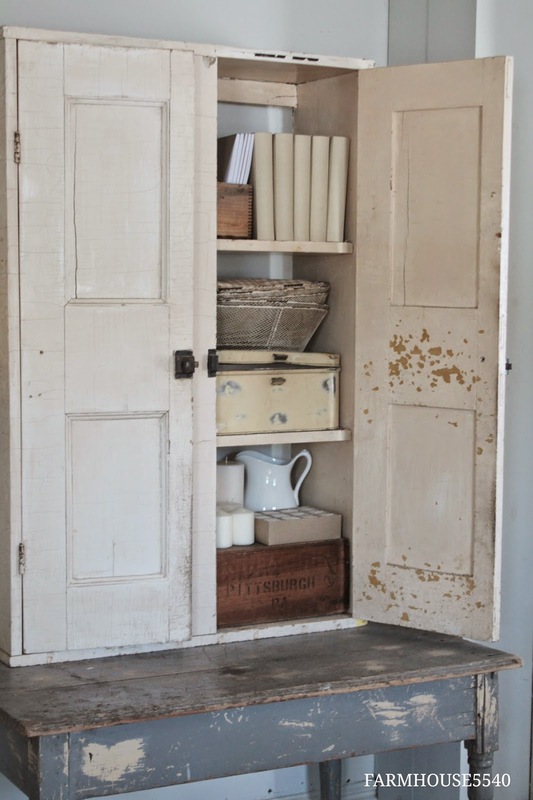 I absolutely love primitive cupboards and put one in just about every space I can. 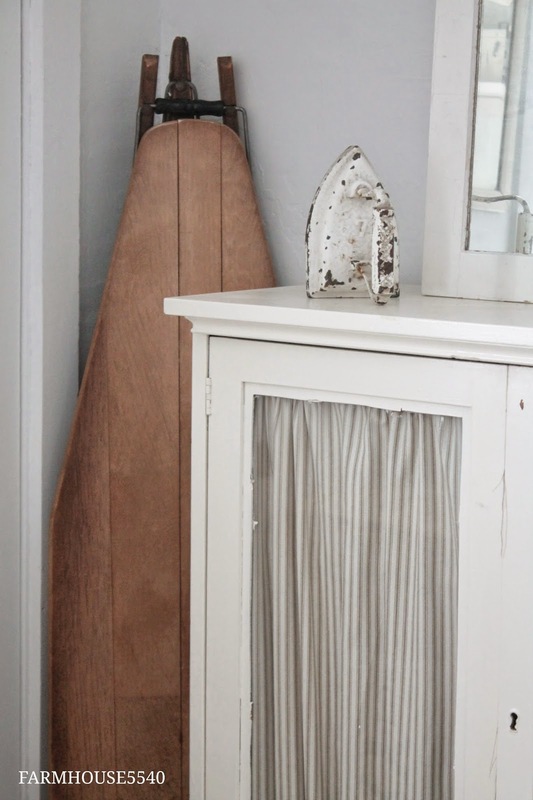 I love their simple beauty and the fact that can hide all of those things that you just don't want out in the open, like your husbands ever growing t-shirt collection. 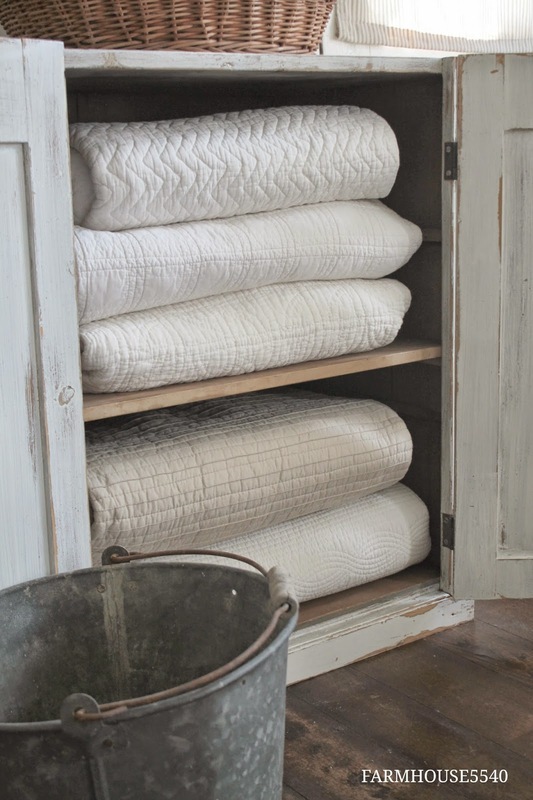 Or they can be left open and showcase the prettier things, like a collection of quilts. 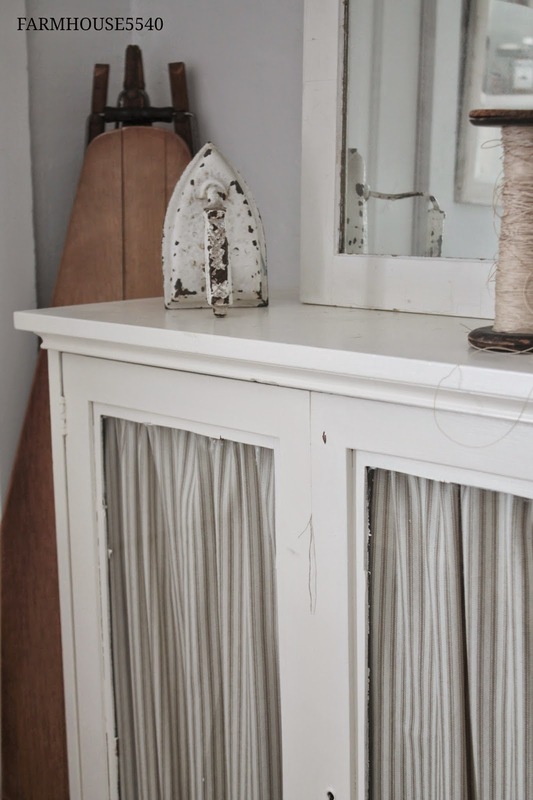 My mom gave me this adorable antique cupboard and I keep it in my sewing room to hold all of our crafting items. I know I promised to show this room some time back and I promise I will show it soon, it has been on my to-do list for awhile now. The problem is that I keep my Etsy inventory in here and I always have a new pile of things that I am about to list, so this room is never photo ready. 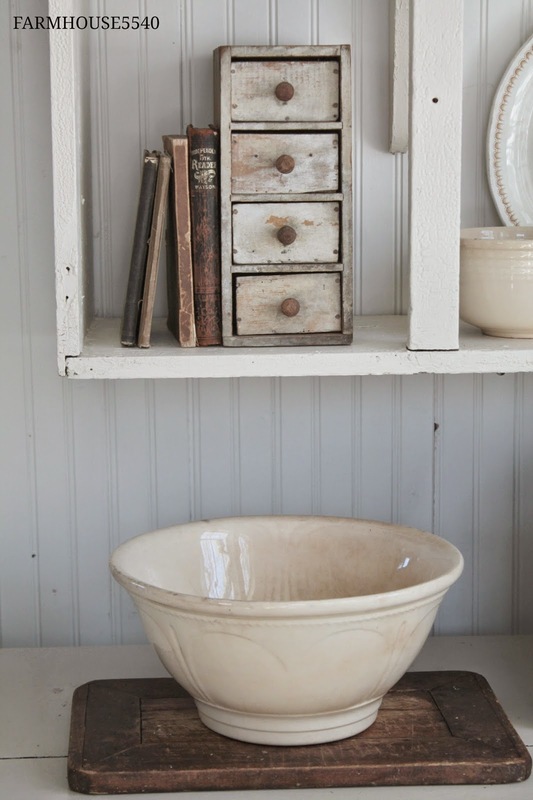 I picked up the little white medicine cabinet at the flea market last summer, I just love old white medicine cabinets. 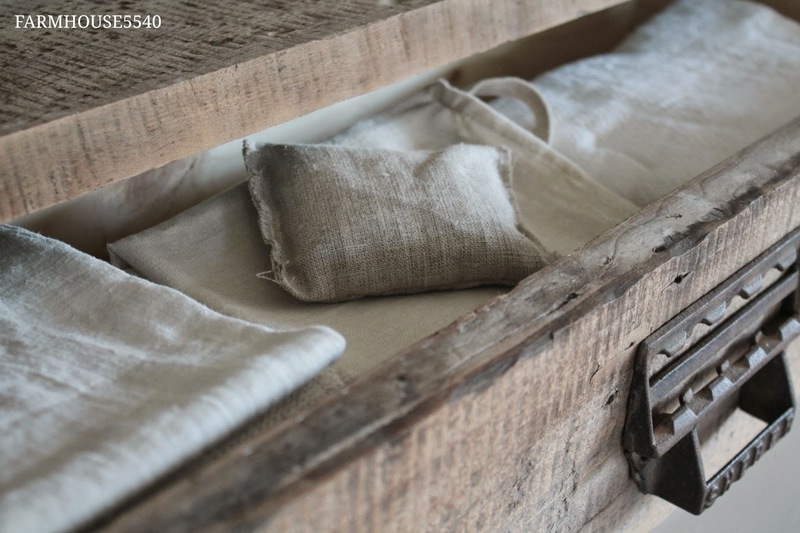 Old trunks are another one of my favorite things to store things in. 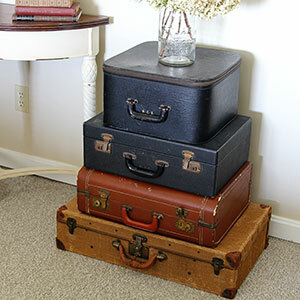 The trunk in our dining room sitting area is one of my all time favorite flea market finds costing me a whole $10. 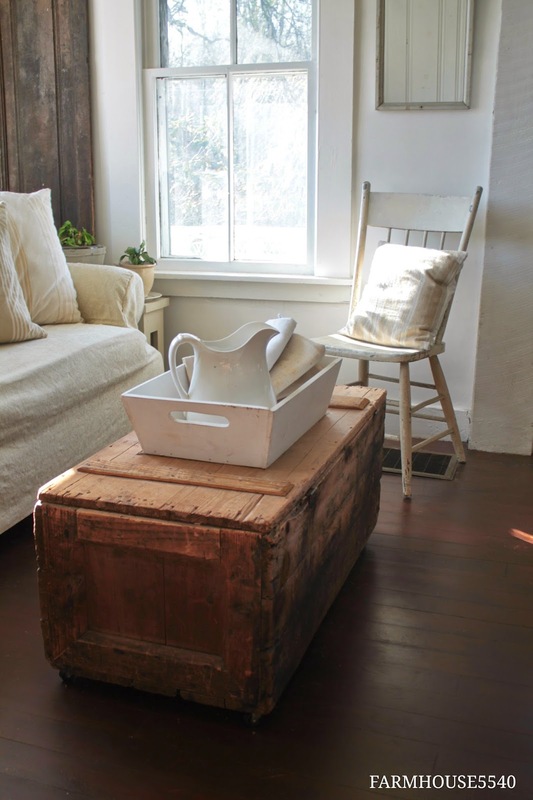 It is perfect for holding the air mattress that our guests use when they sleep over and because it is on casters is easy to move out of the way and can even become a bench when needed. 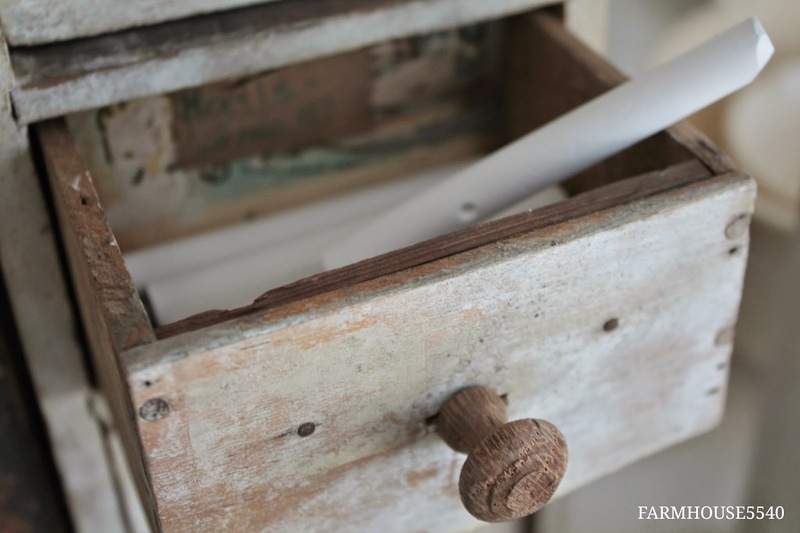 I could never have too many little chests of drawers, they are great for keeping the small stuff organized. 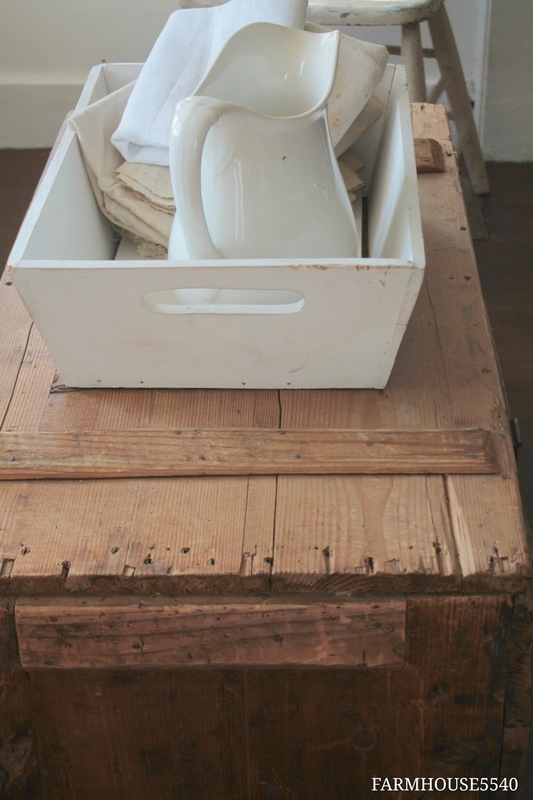 I bought this primitive little set of drawers at the Country Living Fair. I keep little items like my chalk, thumb tacks and stamps in it. 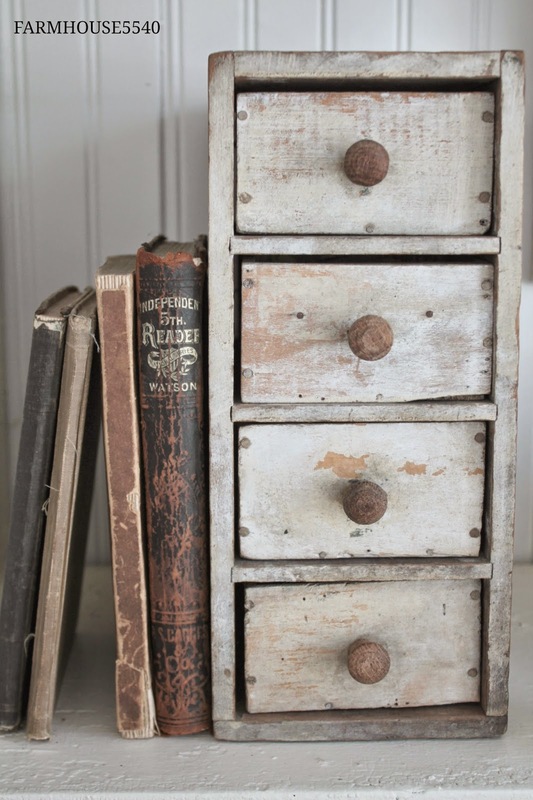 Little apothecary chests and chests of drawers are hard to come by and usually very expensive when you do so for the kitchen I just bought a reproduction one and painted it a creamy white. 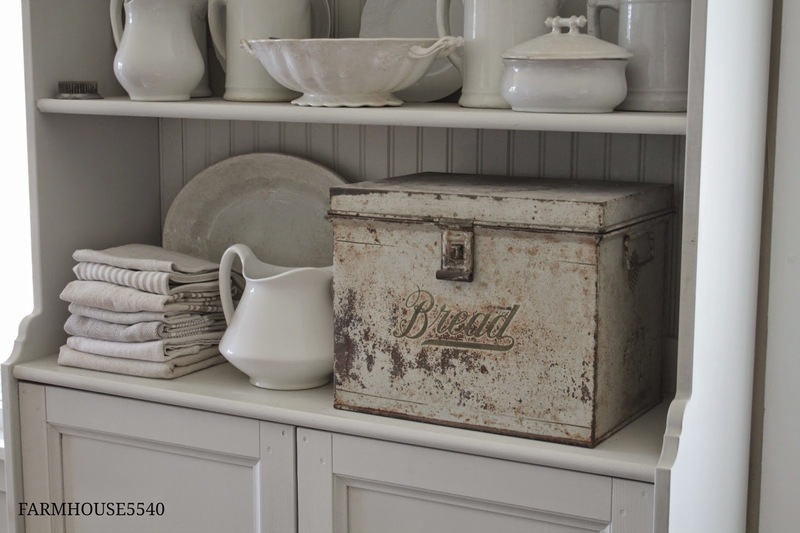 So cute to look at vintage metal bread boxes are another storage favorite of mine. They are perfect for those items you don't use daily but want to be able to reach with ease when needed. Thank you so much for visiting! I hope you enjoyed this edition of Farmhouse Friday. Be sure to check out the other wonderful blogs below! Also, I created a FARMHOUSE5540 Instagram account so be sure to start following me! Love, love, love, Megan - especially the one Neal made for you at Christmas (cedar). Sigh!!!! This is a BEAUTIFUL post, Megan! 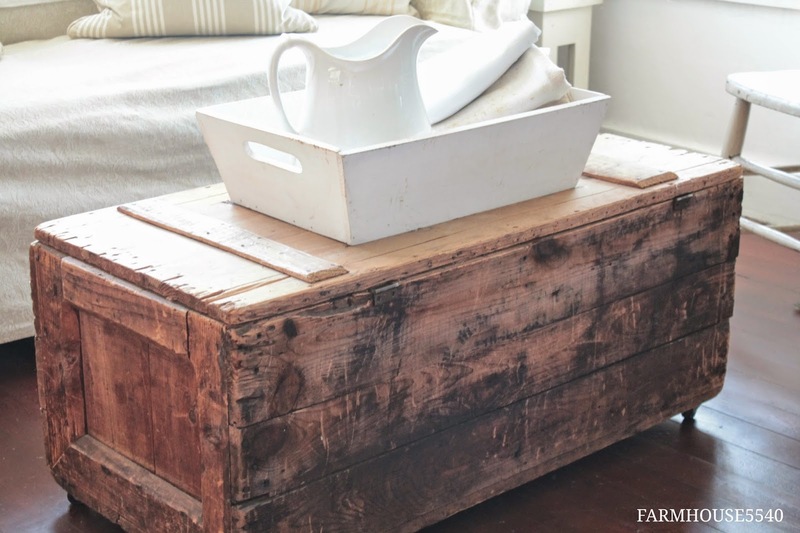 I adore your farmhouse and the beautiful things in it! 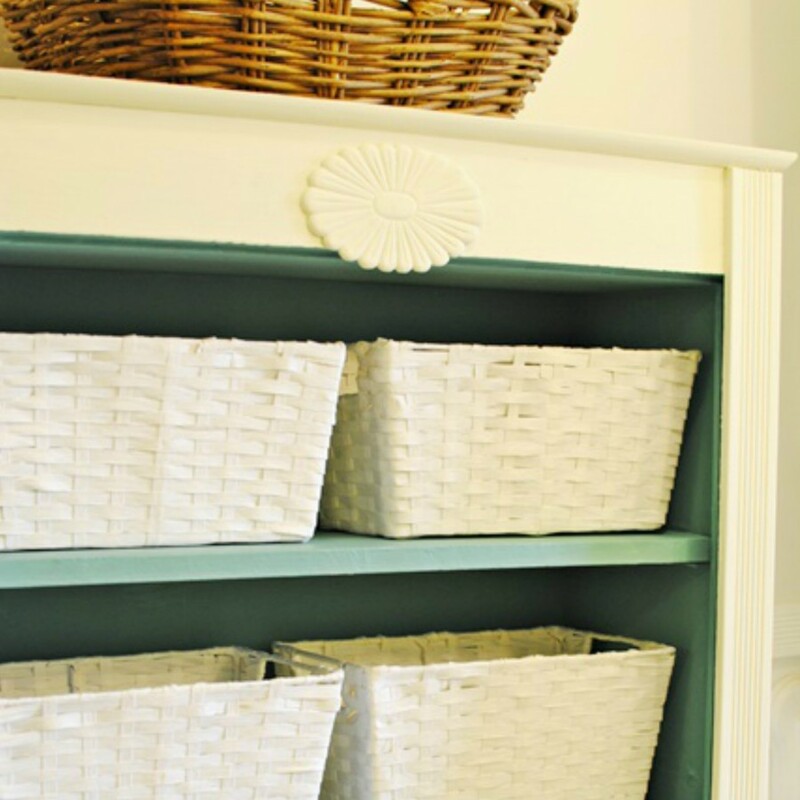 You have elevated storage to a whole new level!!! So fun partying with you! I always get lots of ideas! 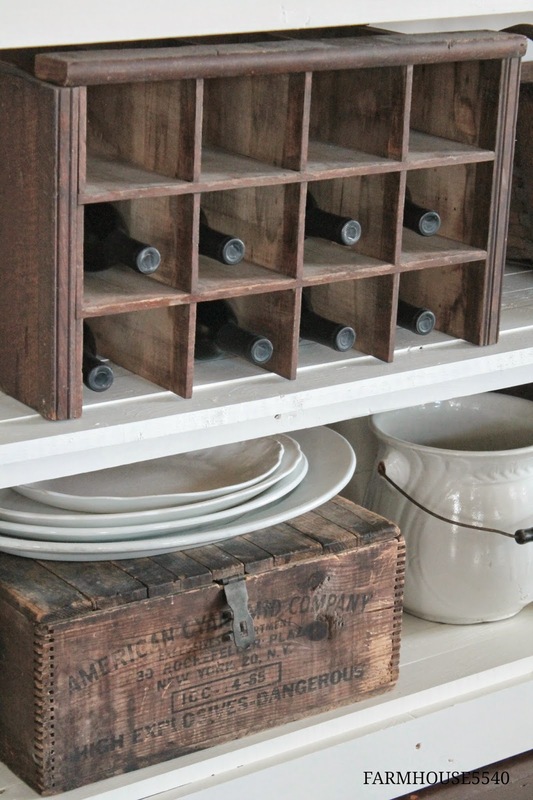 Who knew storage could look so good? 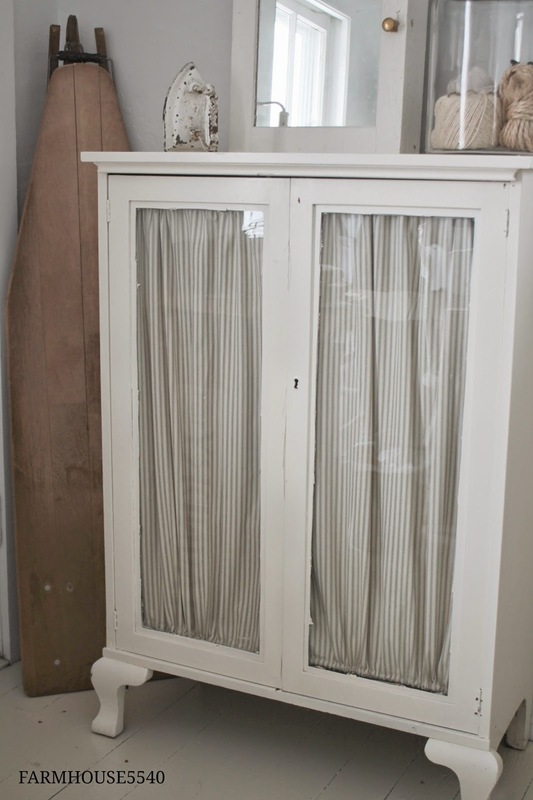 Love all your primitive cupboards and you're lucky to have a hubby who can build stuff for you! It's all wonderful, Megan! 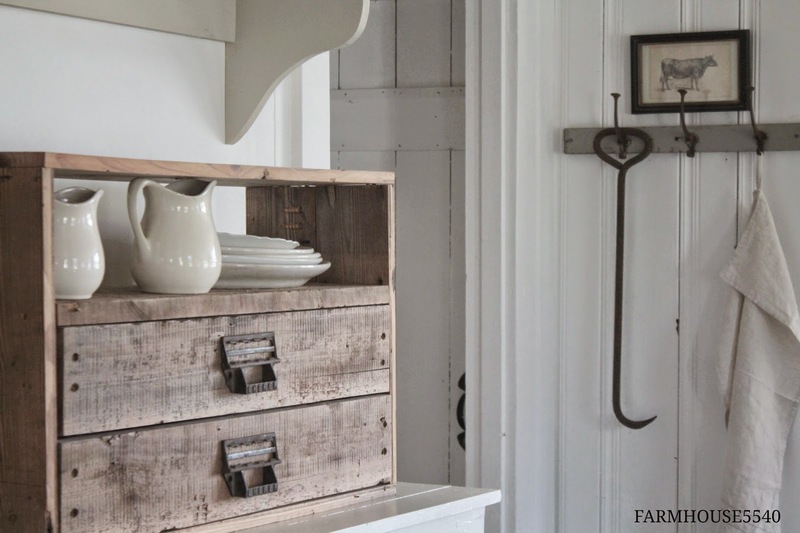 Oh, I adored this post and all the glimpses of your farmhouse rooms. You have such lovely collections, Megan! Thanks so much for sharing with us. I love your home so much. It is so comforting and peaceful. 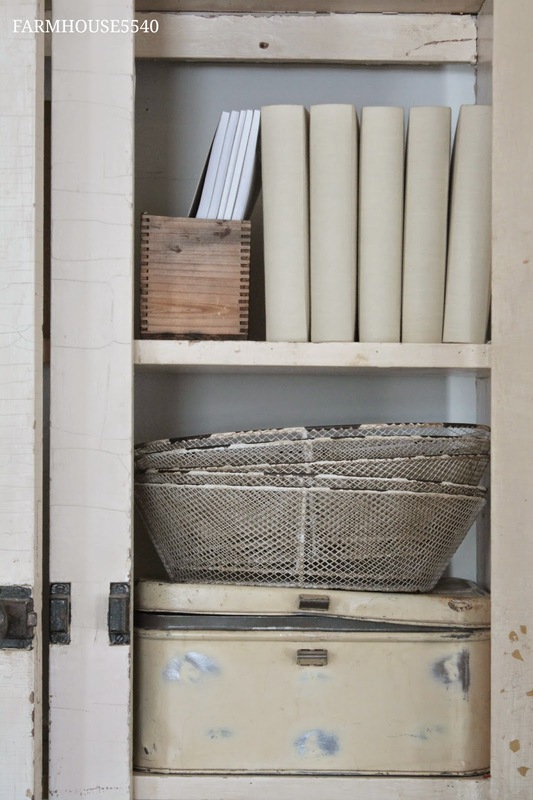 Such great storage pieces and so much lovely character. 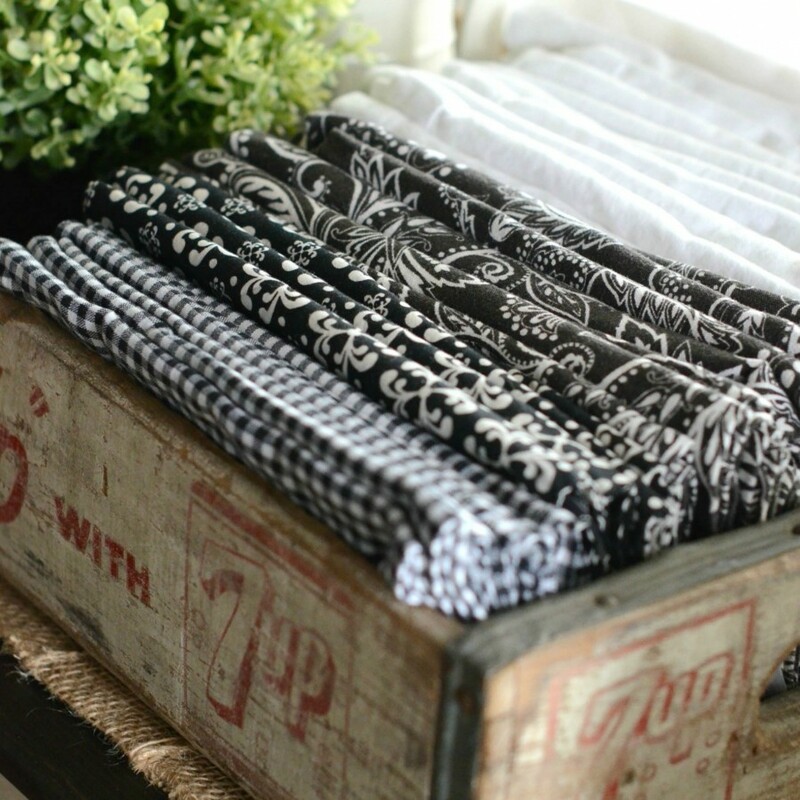 I especially love the one with the quilts folded so nicely. I am in LOVE!!! 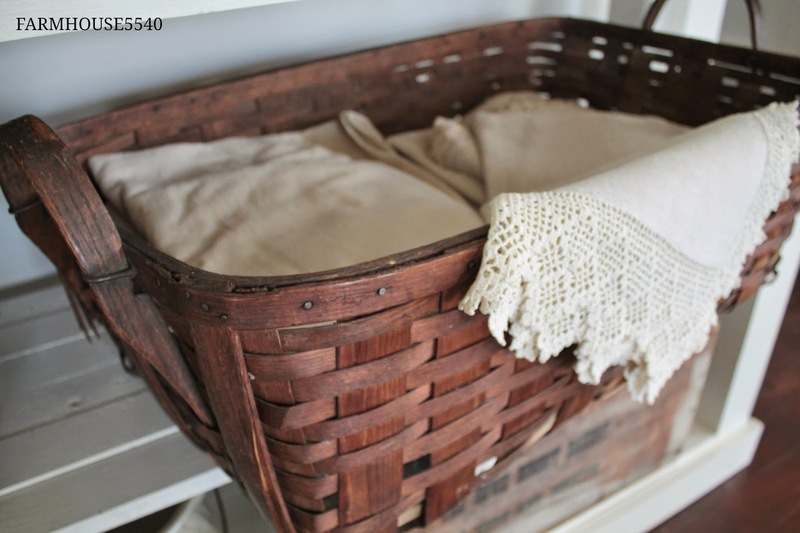 My head is swimming with all of the baskets, crates, ironstone, crocks, farmhouse wares....oh my!!! 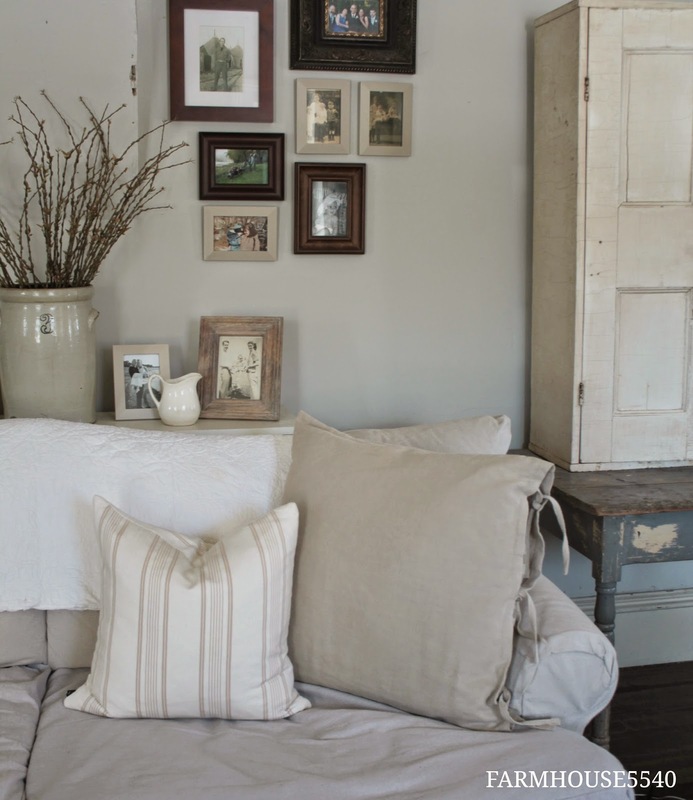 This is such an inviting space and I really like your how your grouping's come together. Ohmygoodness....I could move into that setting and be perfectly AT HOME...it's ME! 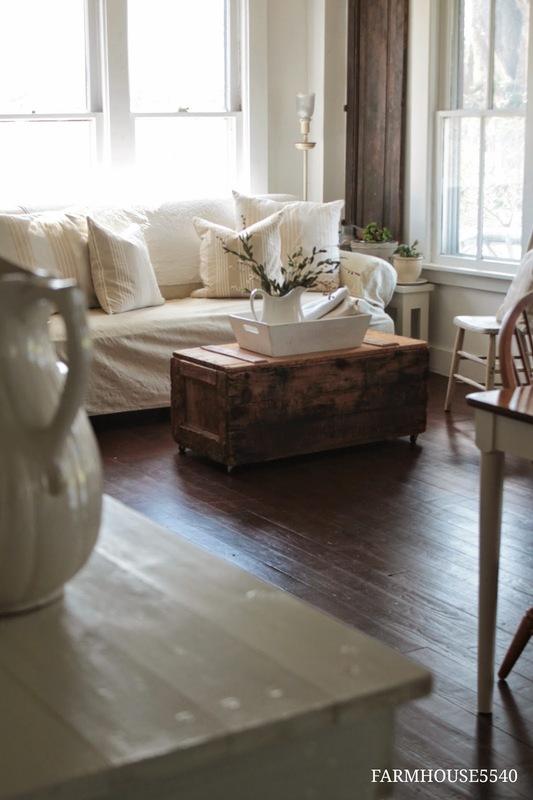 [with some definite pops of bold cold here and there] My next immediate must do goal is to transform my bedroom to what generally [now] is called an all white room...but in the interest of avoiding boring mine will be what I call "shades of white"...so love yours! 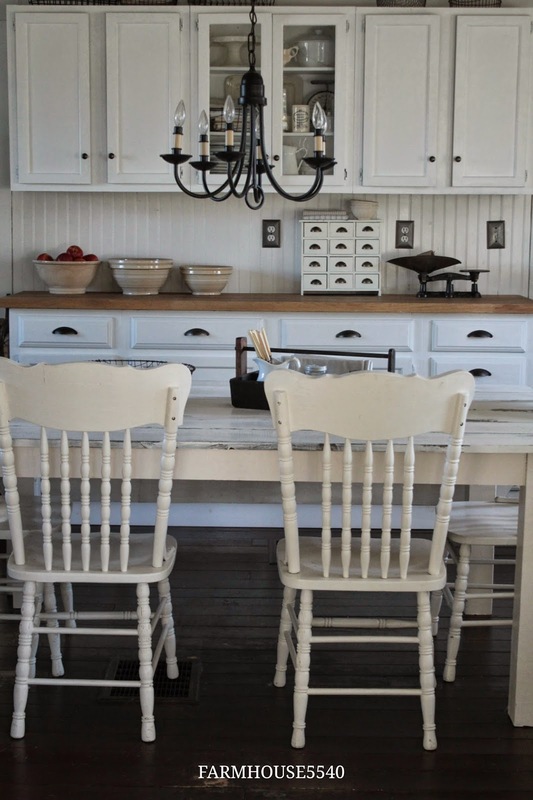 So sorry- should have read : "pops of bold COLOR here and there"
Just love your collection of cabinets. Wonderful. We are EW MOVERS Dubai and Packers and does not hire contract or temporary labour.